Hewlett Packard unveiled today new consumer notebooks that combine advanced technologies with stylish designs in order to deliver a unique computing experience. The HP Envy 17 3D is equipped with a 17.3-inch Hewlett Packard Ultra BrightView 3D Display that provides crisp 1080p full high definition viewing. Combined, the 3D Technology and the included HP Triple Bass Reflex sub-woofer provide amazing audio and video, and deliver a unique entertainment experience. Consumers can seamlessly experience the 3-D content thanks to the wirelessly synchronized frames between the HP 3D Active Shutter Glasses and display. The Hewlett Packard Envy 17 3D is designed in a brushed aluminum and sports a sleek and stylish exterior which matches its interior perfectly. It is equipped with two terabytes of hard disk storage capacity, a powerful Intel Core i7 processor, and an ATI Mobility Radeon HD 5850 for superior graphics quality. The HP ENVY 14 Beats Edition is manufactured to provide performance with state-of-the-art audio technology. It includes the unique and high performance Beats Audio technology developed by Hewlett Packard, and Beats by Dr. Dre, in order to provide optimal audio experience. The HP ENVY 14 Beats Edition has an aluminum design with a red backlit keyboard. This laptop, as well as the HP ENVY 17 come equipped with Adobe Photoshop Elements 8 and Adobe Premiere Elements 8 software for photo editing and video editing. The battery life of the laptop can last up to 6.5 hours with the standard battery, and up to 13 hours with an optional HP Slim Fit Extended. 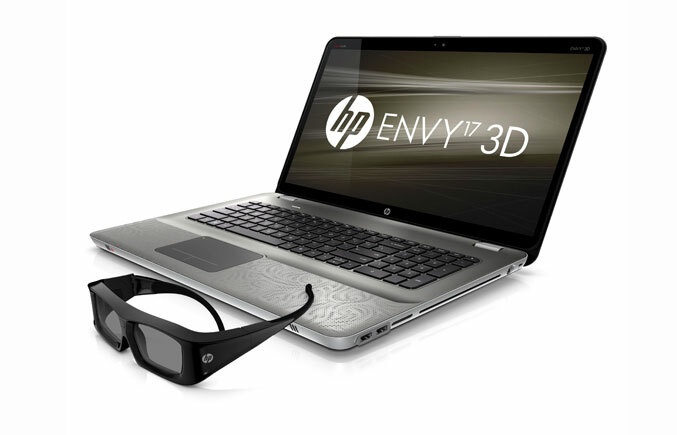 HP ENVY 14 features Intel Core Processors and the ATI Mobility Radeon HD 5650 graphics card. Each device comes with Beats by Dr. Dre Solo Headphones from Monster with ControlTalk. HP Pavilion dm3 is a thin and light notebook which features HP CoolSense Technology combined with advanced hardware and cooling software. It comes equipped with a 13.3 inch diagonal High Definition Display, with a keyboard with optional backlit feature. The battery life lasts up to 7.5 hours. The notebooks also feature HP Wireless TV Connect functions. The HP Envy 14 Beats Edition is available in the United States for the price of $1,249, while the HP Pavilion dm3 is also available in the United States, but for the price of $549.